I was 80-years too late, but then I suspect I knew I always would be. 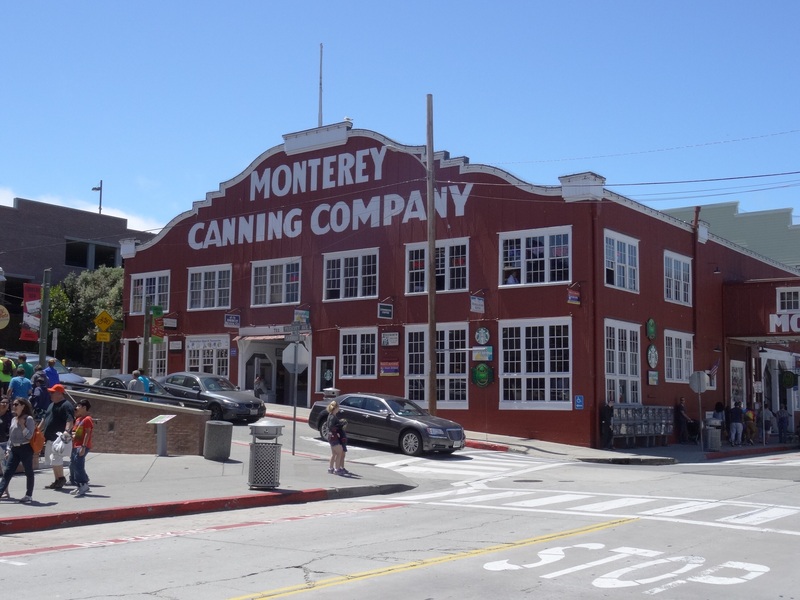 The canning factories are still there but they have been dressed up in bright new paint and fancy lettering. The stench of freshly gutted sardines no longer hangs in the air and the sound of clattering machinery has long been replaced by the hubbub of chat as groups of tourists stroll and shuffle along the neat sidewalks. I spot a kind faced Chinese man and I think of Lee Chong and his Heavenly Flower Grocery store that ran on a mixture of hard cash and almost eternally extended credit. Walking to the end of the street away from the milling crowds I am gladdened by the sight of a wire-fenced area of weed-infested concrete and an old wooden structure sitting out at the water’s edge. There is a battered steel container propped forlornly on some old railway sleepers and this gives me more pause for thought than anything I have seen so far. I can imagine Mack and the boys inhabiting this old wooden shed and of them sitting in this container to escape the heat of the sun and making plans, plans that would involve ‘doing something nice for Doc’. 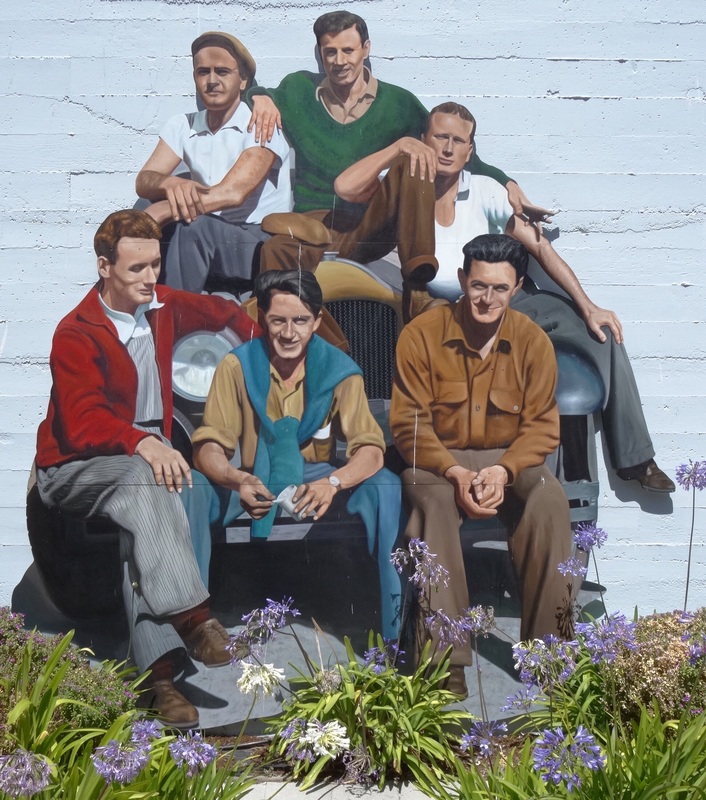 My mother lived in San Francisco in the late 1950s and visited Monterey and Cannery Row. Years later she read us John Steinbeck’s novels and then, when we had learnt to make sense of letters and words for ourselves, gave us more to read. Some were her own slightly travel-worn copies purchased in America and their yellowed pages and musty smell only added to the piquancy of the tales. I thought of her being here in California, pre-marriage, pre-children, as she headed south to Mexico where she would ride a horse across open country before catching a boat home to England. Mack on the other hand was described as “the elder, leader, mentor, and to a small extent exploiter of a little group of men who had in common no families, no money, and no ambitions beyond food, drink, and contentment. But where as most men in their search for contentment destroy themselves and fall wearily short of their targets, Mack and his friends approached contentment casually, quietly, and absorbed it gently. Mack has few compunctions about lying, stealing, or swindling, but his intentions are generally good, so he is able to justify his actions and those of his friends as means to an end. It is said he is highly intelligent and “could be President if he wanted to be”. He and his group of friends are known to all as “Mack and the boys” and spend a great deal of their time in an abandoned storage shed they christen “The Palace Flophouse and Grill”. I closed my eyes and let the cool breeze blowing off the Bay fill my nostrils with a salty tang. A sea-lion barked out on a pontoon and I heard the swell sweep through the thick bed of kelp that floated just offshore. I opened my eyes and drunk in the old shed and the container one last time. It wasn’t the Steinbeck moment that I might have wished for but it was a moment nonetheless and I had enjoyed it. Which reminds me ‘I really must do something nice for somebody today”. 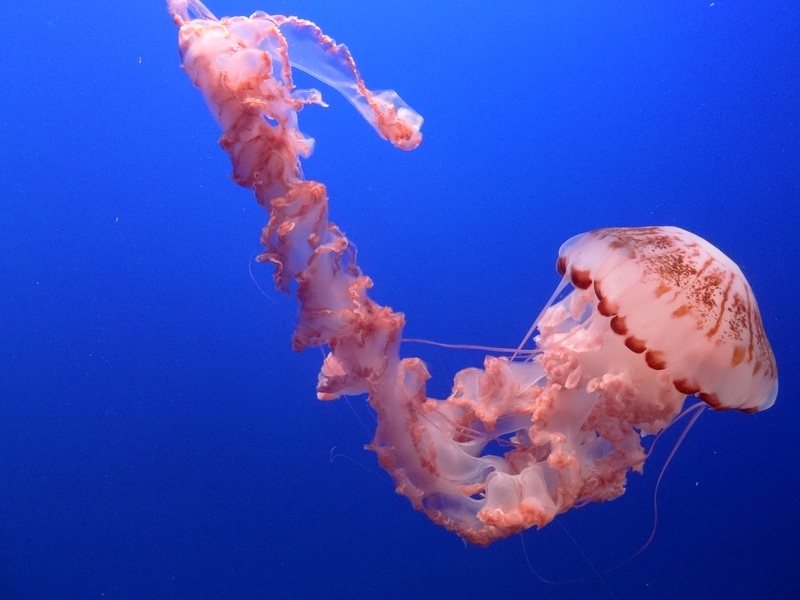 Postscript: After walking back along Cannery Row I visited the Monterey Bay Aquarium, packed to the gills with tourists but a superb atrraction nonetheless. I was particularly drawn to the jellyfish and anenomes and thought of Doc collecting his specimens along the tidal pools of coastal California and taking them back to the Western Biological Laboratory. This picture captures some of the magic of these creatures. This entry was posted in America, travel and tagged America, California, Cannery Row, Carmel, Doc, Jellyfish, John Steinbeck, Lee Chong, Literature, MAck, Monterey, Monterey Bay Aquarium, Reading, Sardines, travel by Ashby's World. Bookmark the permalink. Wow, great shot. “I must do something nice for someone today” is a good thing to have on your to-do list I think! But what good deed did you do Bro? Lovely post….